Ducati is often seen as a prestige brand, a kind of royalty within the motorcycling world. Expensive, exotic and utterly captivating, the Bologna factory makes machines that will move your soul and tug at your heartstrings. In last weeks Motorcycle News (August 19th) we tested the top pickings of Ducati’s illustrious superbike line-up of the past decade against each other to see how the Italian superstars have developed since the 1098 was introduced in 2006. The Panigale stole headlines and hearts in 2012 and was the first Ducati to use a monocoque frame. Riding a 1199 Panigale S after a 1198S is an experience. One is a laid back V-twin that rewards flowing lines, the other is an animal that needs to be taken by the collar and shown the right path. 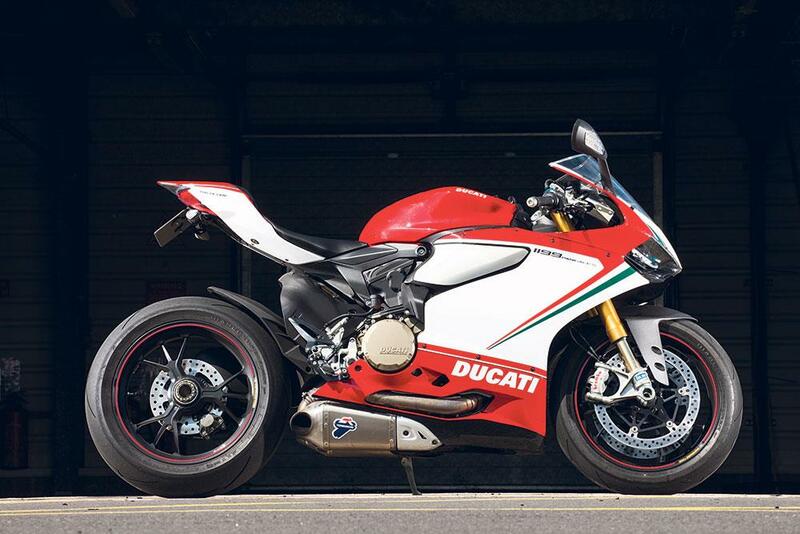 The 1199 Panigale a stunning bike, but is also awkward to live with, both on road and the track. The 1199 feels alien in comparison to the reassuring 1098 and 1198, the 1199 engine is really aggressive and instant in its response and the riding position feels tall as if you are perched on top of the bike. The brakes are astonishing, just stroking the front lever feels like a stick has been shoved through the front wheel. The Brembo M50 calipers are shockingly fierce where the monoblocs on the older models feel lovely and progressive. 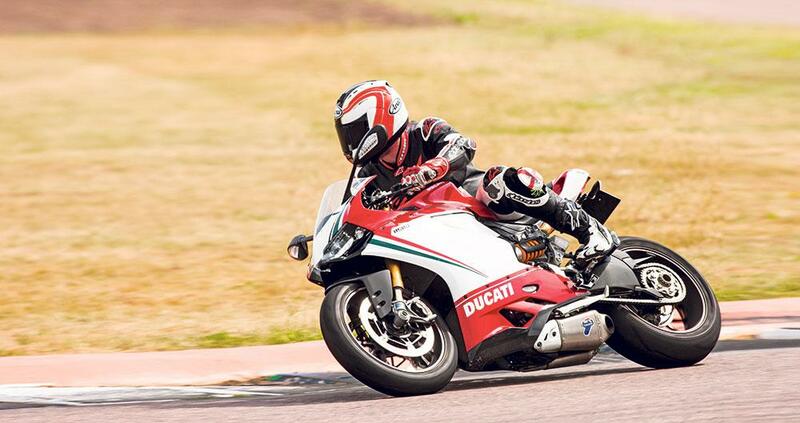 Upping the pace pacifies the Panigale and pushing on seems to relax the monocoque slightly divulging a bit more in terms of feedback. It’s still an on/off nature though and is hard to tame. This Ducati is anything but chilled-out, The Panigale feels like a thoroughbred race bike with lights, demanding to be ridden as such. It’s a rough diamond, not at all happy being ridden at a fraction of its potential. Rawness is the overriding feeling you get when you ride the 1199, its an incredible machine and won’t appeal to everyone but it’s a engineering feat that needs to be treated with the respect it demands. The beautiful Tricolore, this example looks in immaculate condition and comes with a host of extras and new tyres. A good value machine against the list price. Mint example of the sought after R model. This low mileage example comes with a tail tidy, alarm and Road Angel Tracker. When only the best will do, this money-no-object machine is the ultimate in Italian exotica. A super-exclusive race bike for the road, nothing else will come close to it in terms of both outright performance and bragging rights when you need to one-up the guy who boasts about his new blade. 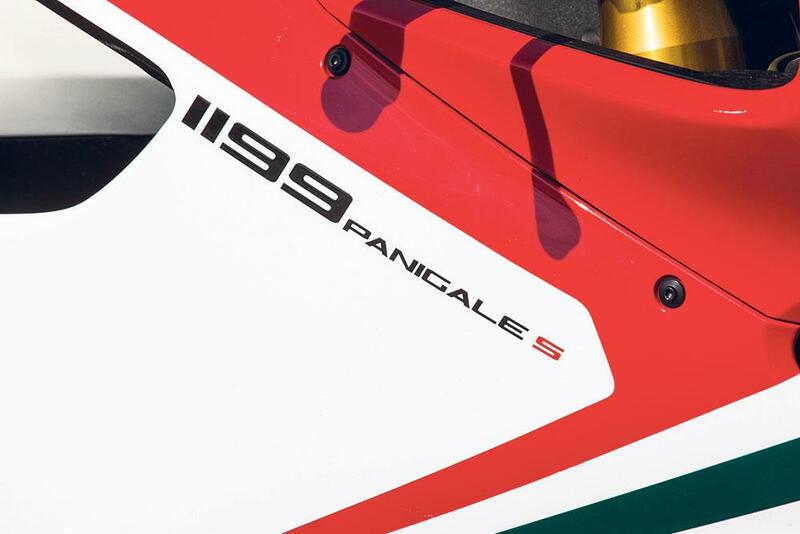 Click here for more Ducati 1199 Panigale's for sale on MCN and here for a full review of the 1199 Panigale S.